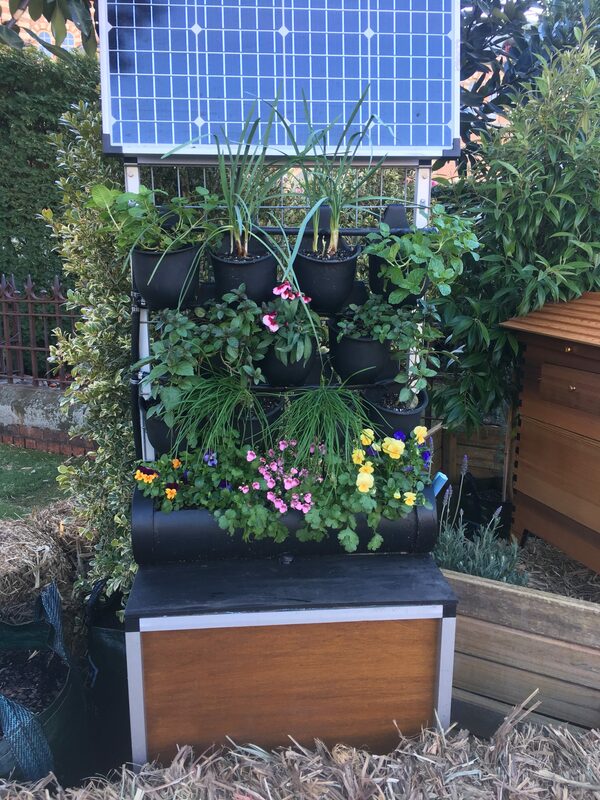 Solar powered, automatic, water recycling vertical garden that uses sensor and raspberry pi technology to give plants a voice. 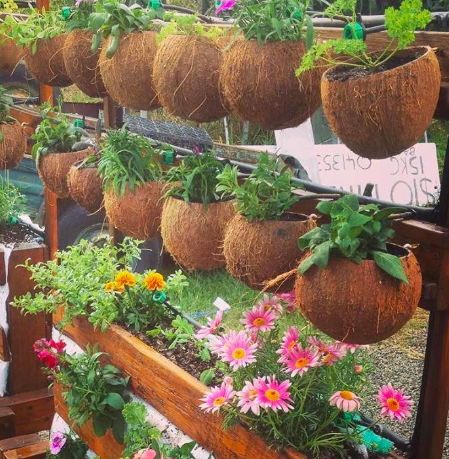 It is called TelePLANTathic because it helps plants communicate with people. 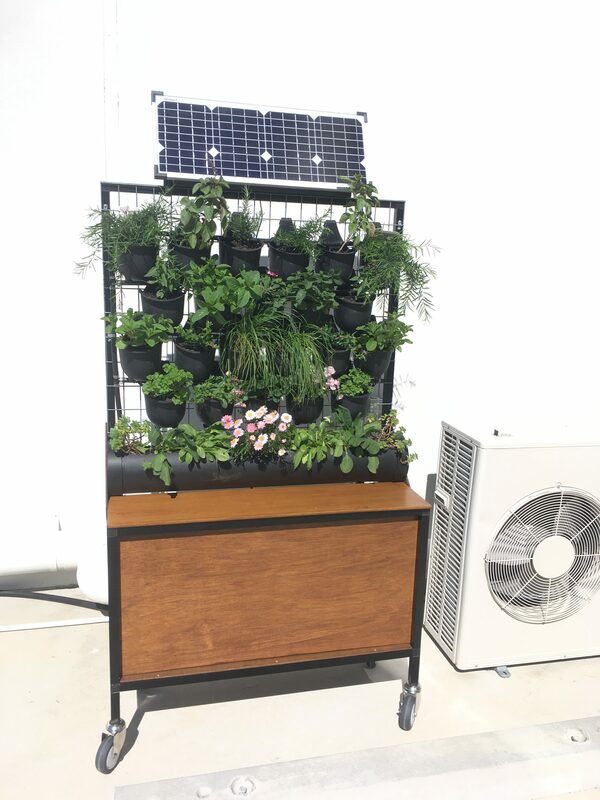 We are creating gardening systems that help educate you about caring for the plants while you garden. 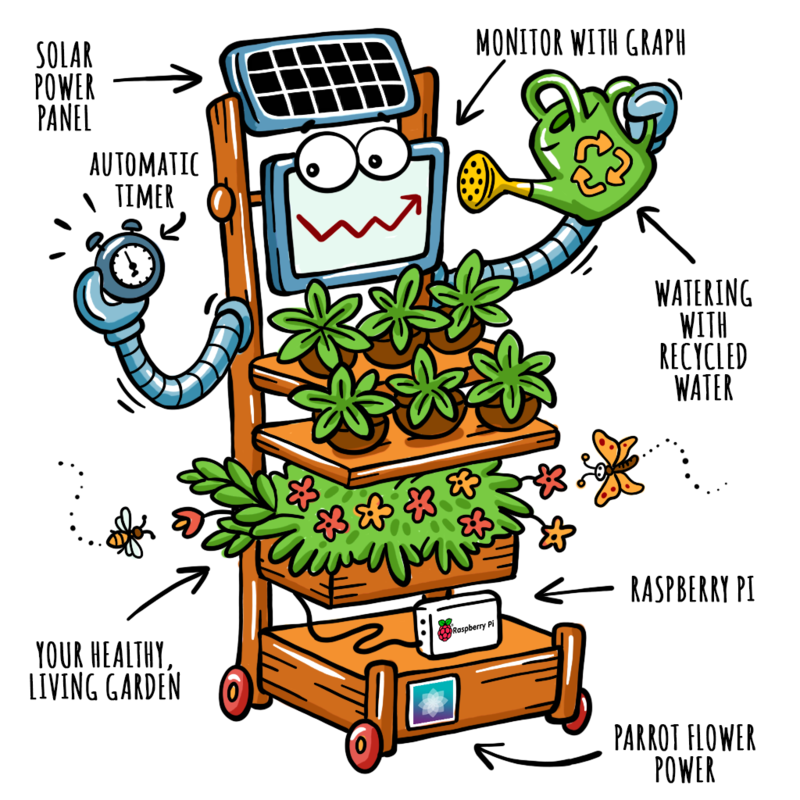 So you don’t need to have any fear about neglecting the needs of your plants, because with our systems the plants will tell you what they need when they need it. It monitors light, temperature, fertiliser and moisture and sends you notification if any one of these are out of balance. We have also teamed up with e-waste recycling centre Substation 33 and can provide recycled lithium iron batteries to power your system. Get in touch for quotes for custom designs.